Flash! Friday # 8 — WINNER! How this week’s judge Maggie Duncan chose her winners is a wonder. But she painstakingly managed it somehow, and here are the sizzling results. Jaz Draper. Maggie says: Though this needs a better connection that Jinn is the “raven-haired nymph,” I liked the premise and the imagery. The closing “…wanting, for all eternity” was very evocative and reflected the prompt well. I did think “raven-haired nymph” was a bit of a cliché, but the story, overall, was original. Cara Michaels (@caramichaels). Maggie says: I got a genuine chuckle from this one. There were several, similar stories, but this one was definitely a unique take. The only suggestion I’d make is a dialogue tag, just to clarify the speaker of the final line is the gargoyle. An excellent take on the prompt, and, again, very original. and…. today’s SMOKIN’ HOT WINNER…. 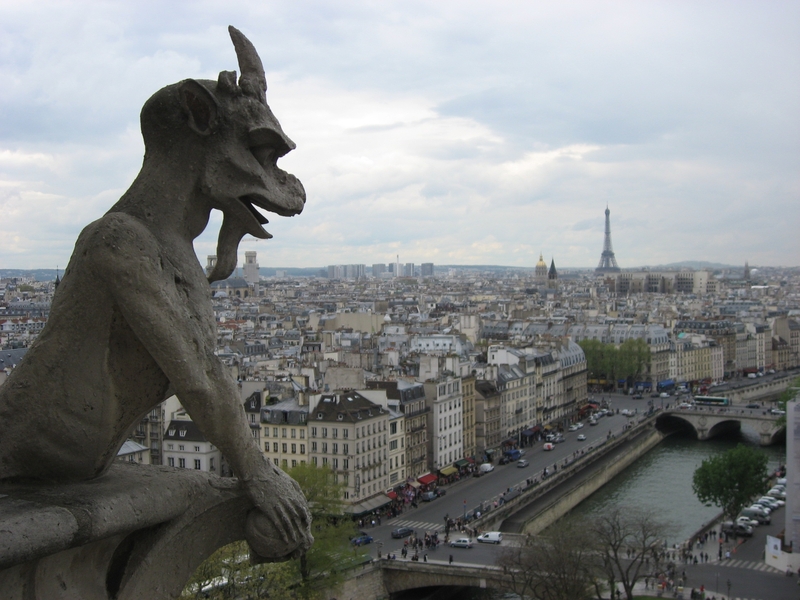 Maggie says: This was a totally unique take on the prompt—no romance novel clichés, no obvious gargoyle clichés, either. As an historian, the title grabbed me, but the thing that made this the winner was it made me want to know what happened on Walpurgis Night, 1305. But the editor in me has one suggestion. I’d open the story with, “And this is the one that your…etc.” I think that would give us a breather from the somewhat lighthearted reference to Grannie Mattalie and would make the last sentence more impactful. Overall, a great, little story. Good morning! As you can see, Flash! Friday has its own, jewel-encrusted lair now. If you’re a #flashfriday winner, be sure to check out the winners pages–you have your very own sizzling trophy page! We’ve also got judge pages (today’s exciting judge is Her Ladyship Maggie Duncan), a tidy place to read the rules, the history of #flashfriday, and a list of regular ongoing contests. Something missing? Got ideas? Tell me! Be sure to bookmark this new site, follow the contest on Twitter, and come back at 9am for today’s Super Smokin’ Hot prompt. See you in a few! IT’S TIME! Allow me to welcome you Most Giddily to Flash! Friday Week 8. Today’s prompt is another photo…. and a burning 75 word story limit (5 word margin this time–anywhere from 70-80 is permitted; be sure to include your word count and Twitter handle if you’ve got one). Read the rules if you haven’t already, and then…. GET WRITING! * Word limit: Write a 75 word-story (with a 5-word margin) based on the photo prompt below. Post your entry in the comments on this post. Include your word count and Twitter handle so we can promote the heck outta ya. This contest is now closed to entries (but always open to comments/feedback!). Thanks to everyone for coming out to play today–hope you had as much of a riot as we did! The decision by our fabulous judge Maggie Duncan will be posted by tomorrow (Saturday) morning. FIRST, a couple of special mentions. These ones didn’t quite place, but were compelling enough our noble judge Kinza wanted to point them out: Maggie Duncan @unspywriter (because it was Kinza’s husband’s first pick!) and Josette Keelor @josettekeelor (Kinza says: I really, really loved it. It would probably make the best first paragraph in a novel, probably ever. It was mysterious and exciting. I wanted to keep reading it and was sad that it only had to be 100 words long). And now…. on to the winners! Cara Michaels @caramichaels. Kinza says: The imagery was haunting. I got so interested in the meaning of the gathering, of whether or not they were ghosts and the implications of the bones and what not that I really loved it. I’m amazed at how much of a scene you created from just 100 words. 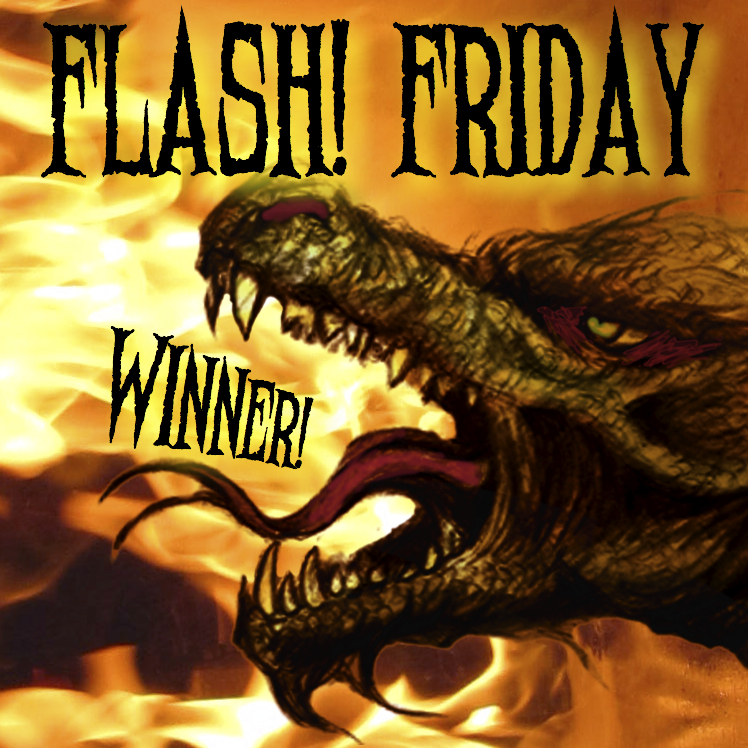 You are the crazy WILDFIRE winner of this week’s Flash! Fiction competition. Kinza says: It had a discernible theme that stuck with me and caused me to feel personal emotions. The characters felt real, and the scene was described in such a way that I felt I could be there. I just felt it was good writing and anything that strikes a chord, must be good, I think. Loads of thanks to Judge Kinza Carpenter Shores. We’ll see y’all again next week–Friday the 25th at 9am. Get ready!